By Katherine Jakeways. George reluctantly agrees to dress up as Santa for his grandchildren’s school Christmas fair. Festive comedy drama starring Geoffrey Palmer. 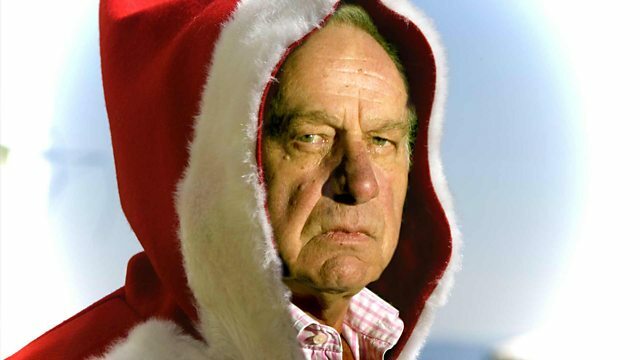 Festive comedy drama starring Geoffrey Palmer. Cathy’s barely seen her dad George since her mum died. She suspects his grandkids may have forgotten who he is. But now she’s persuaded him to dress up as Santa for the school’s Christmas fair and finally they have an opportunity to talk. Writer Katherine Jakeways (North by Northamptonshire) is described by The Radio Times as the 'new Victoria Wood' saying "her character comedy is so acutely observed and so sharp that it's in danger of causing permanent injury." Geoffrey Palmer has starred in some of the best comedies of the last thirty years –The Fall and Rise of Reginald Perrin, Butterflies, Fawlty Towers, Blackadder, As Time Goes By.